Whew! 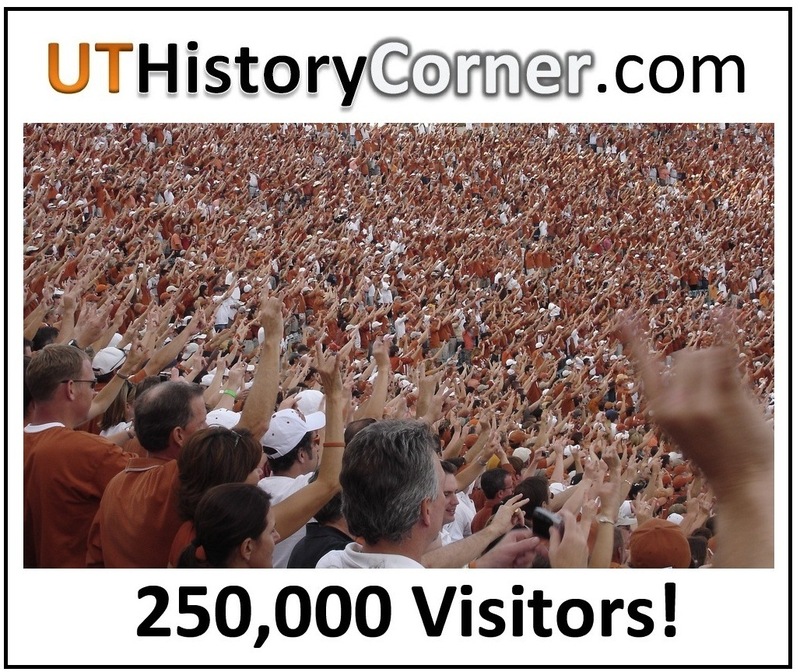 As of yesterday, the UT History Corner has had 250,000 visitors from 104 countries since it opened in May 2012. A sincere “Thank You” goes to everyone who has stopped by to read, look, listen, and explore the history of the University of Texas. I hope you found something interesting and worthwhile! Congratulations, Jim! On to one million! Thank you for all that you do in keeping the stories of UT alive! You are a treasure to the Forty Acres!